and a whole community of people born in or leaving Tignes who are dedicated to the sport. 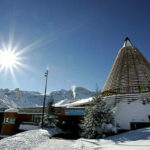 The resort hosting European Snow Pride, Europe’s biggest gay ski week since 2103 has not been chosen randomly. 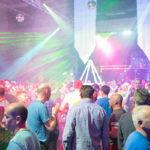 It is the result of a careful resort selection process taking account of gay people’s expectations and feedbacks and the capacity of the resort to host gay events. Since 2008 it’s actually a real substantial work that we habe been conducting jointly with all the stakeholders of the resort (town hall, tourist office, accommodation suppliers, lift company, etc. ), to raise awareness of the specificities and expectations of an LGBT clientele. 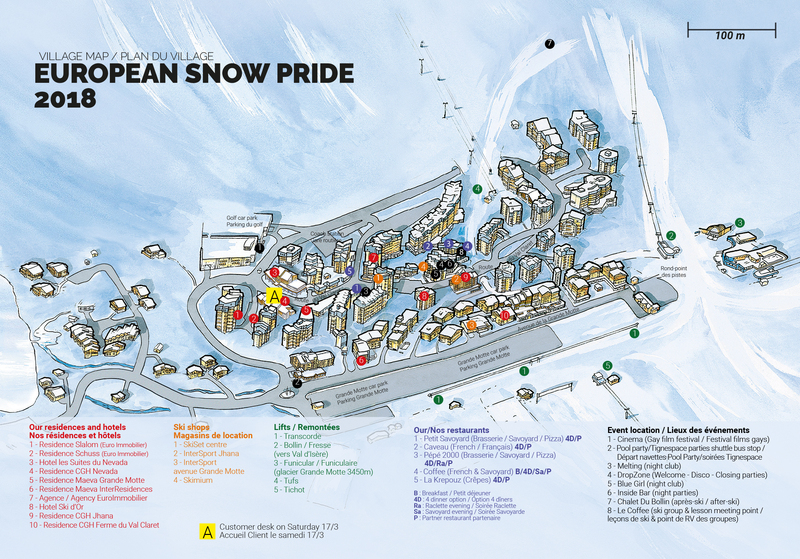 The growing success of European Snow Pride, which has since become one of the most popular gay ski weeks worldwide, has demonstrated the relevance of this field approach. 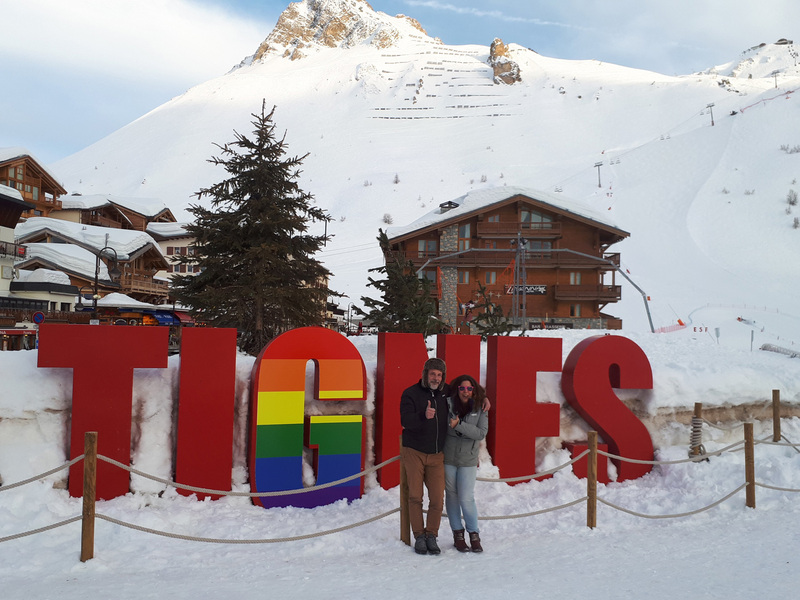 In 2018, more than 92% of our guests who answered our satisfaction survey were of the opinion that Tignes is a gay friendly resort. And beyond European Snow Pride, many ESP guests who feel welcome in Tignes return to the resort at other times of the year, winter or summer. 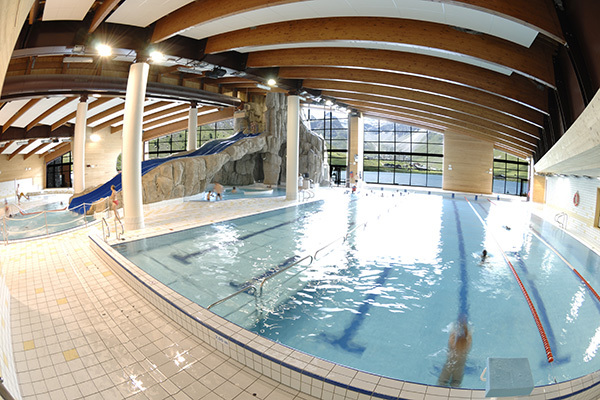 In short, in Tignes you are welcome as you are and you are at HOME ! In January 2013 Tignes publicly supported gay marriage in France and invited to the resort Vincent and Bruno, the first gay couple married in France, which they accepted. Also in 2013 Tignes, which attracts high level competiton sportsmen signed the charter against homophobia in sports. 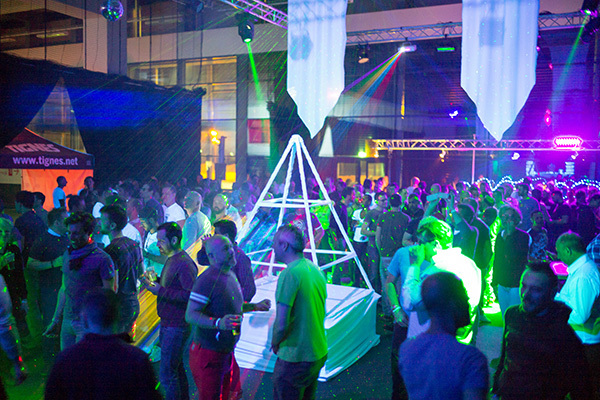 In 2015, for the 1st time ever in a ski resort, Tignes hosted a gay pride durig our event. Since then, the Pride of Tignes takes place every year with the Mayor himself leading the march and Tignes starts the ball rolling in all the northern hemisphere, since the Pride of Tignes is the first one of the year to take place. 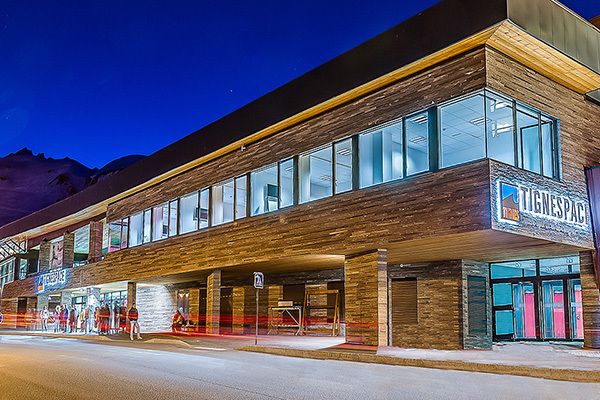 Since 2008, Tignes has been hosting gay ski events and is delighted to welcome European Snow Pride again in 2019. 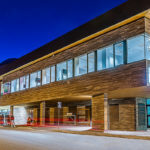 Tignes’ repeated commitments towards the gay community definitely confirms its status of gay friendly resort attracting gay people from all around the world. 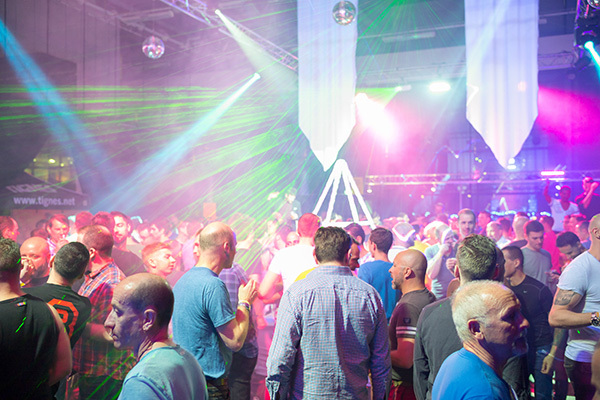 Every year during European Snow Pride, Tignes Val Claret turns into a true gay village hosting Europe’s biggest gay ski week. 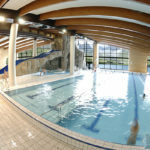 All accommodation offered on our website as well as most of our event venues are located in Val Claret and are within walking distance of each other. The European Snow Pride guests will find it very easy to meet each other, either in our village or at our different events as well as at the hotels and residences displayed on our website. 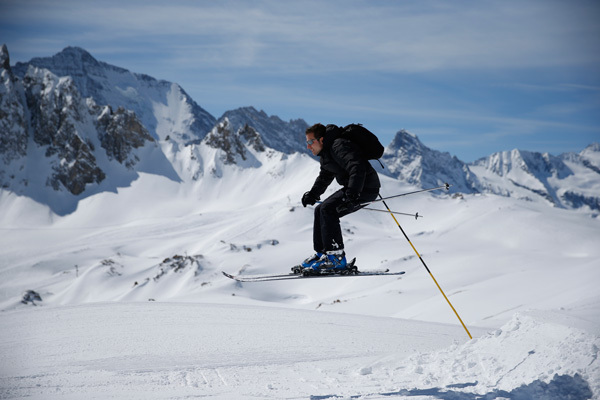 It will take you less than 10 minutes by foot to go between 2 extreme points in Val Claret. In Tignes Val Claret, car traffic is restricted to baggage drop-off, making it a car-free resort. In case you need to go to Tignes le Lac, which is a less than 1km away from Tignes Val Claret, you can walk along the lake. Unless you are in a hurry or do not fancy the bucolic walk along the lake, you can use the free public shuttle linking le Lac and Val Claret and running every 10 minutes during the day (every 30 minutes from 9.30pm and every hour at certain moments of the night). 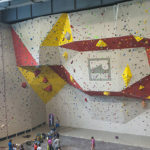 In the very unlikely situation where the many events organised throughout the week were not enough to you, you will find in Tignes Val Claret a large choice of restaurants and bars, 2 night clubs and 1 cinema. 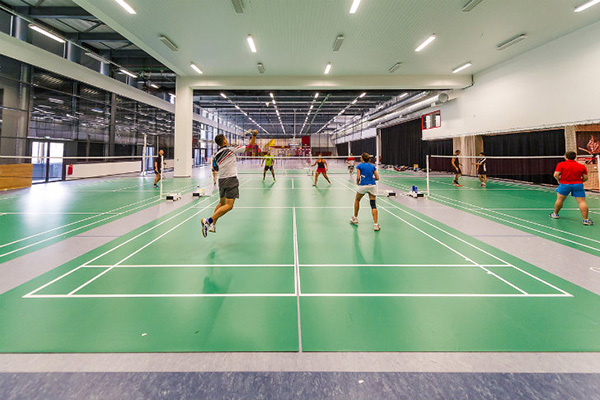 Tignes is very proud to be equipped with the best and most beautiful sport and event centers envied by so many resorts in all the Alps. 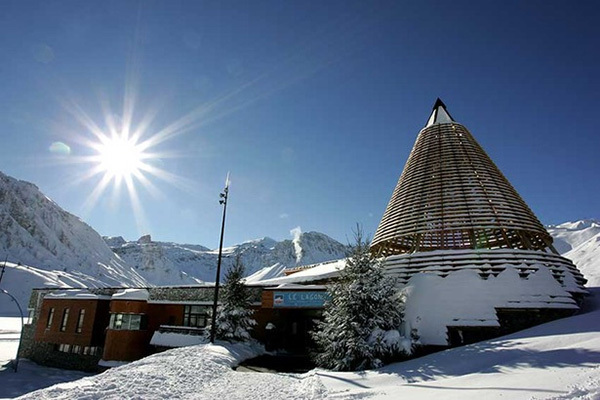 Located on the lakeshore in the heart of Tignes le Lac, the Lagon with its unique teepee architecture proposes over 5000sqm three areas of mind-body wellness. During European Snow Pride, the beautiful Lagon will be hosting our giant Pool Party, definitely one of the highlights of the week. 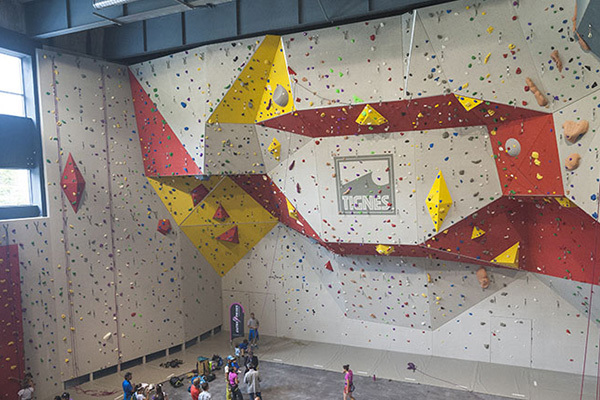 Tignespace is Tignes’ new and stunning venue dedicated to indoor sports and events. 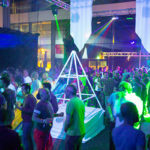 During European Snow Pride, Europe’s biggest gay ski week, Tignespace will host Tignes’ official Pride party, one of the highlights of the week, featuring many internationally and famous artists.